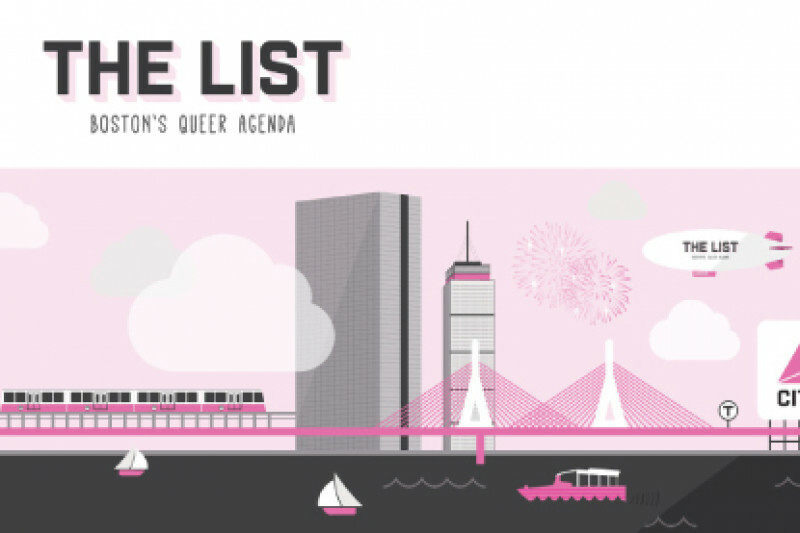 The List: Boston’s Queer Agenda -founded in 1995 integrates the arts, Internet technology and social change to create cultural activism with a particular eye towards lesbian, gay, bisexual, transgender, alternative, women’s, and progressive communities, including our allies. WHY? Community connection helps to offset the marginalization and isolation that contribute to the high rates of depression, suicide, substance abuse, and victimization in the LGBT community. It's FREE! The List is FREE to subscribe and FREE to submit a listing- lets band together to keep this gem of a resource totally accessible to all! To do that, we need your support. Where does the money go? The List is an entirely volunteer-run publication that we spend many hours on each week. Contributions go to our monthly out-of-pocket costs for the website domain, host and listserv. The Listserve alone with 10K subscribers is ~$1000 a year. What would be a good amount to give? We publish 52 event lists per year, 12 classifieds lists and 12 housing lists for a total of 72 lists per year. Would you say that is worth a cup of coffee a month ($50 donation annually)? Or maybe you’d value it at $1 per list times the 72 lists per year? Whether you can give $10, $50, or more- every bit helps! We encourage community participation at a minimum of $1 per month, so $12 annually. Or become a sponsor ! Big love for your contribution- all our volunteers work really hard to provide this service to you. Never feel you can’t subscribe to The List if you can’t contribute at this time. Give more if you can or less if you can’t. If you'd like to learn more about our work, our history, or our volunteers please check out our web . Huge thanks and Big Love to the contributors who stepped forward to help us wrap up our 2017 expenses! Stay tuned for our 2018 page! We are only $478 away from wrapping up our 2017 out of pocket expenses to provide The List free. Huge Thanks and Big Love for your contributions! 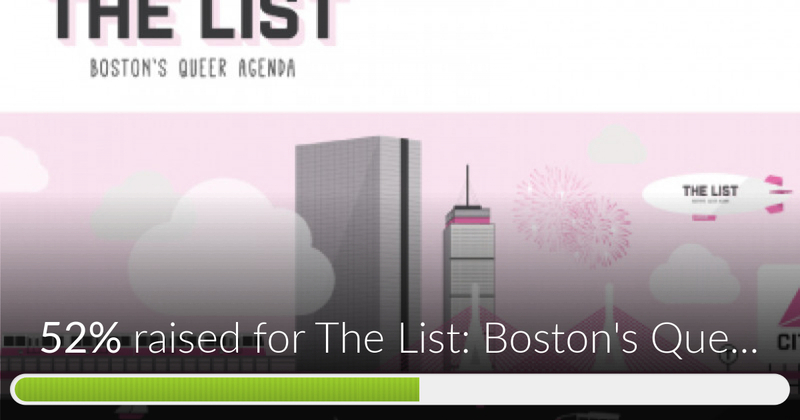 The List: Boston's Queer Agenda has reached 52% of its goal. Thanks to Heidi, Estelle and Karen. Thank you for helping me find good community.